Class in Culture is a bold and complex argument for moving beyond cultural politics to a class critique of the everyday. At a time when "class" is either declared dead or turned into the pleasures of "lifestyle" and the contingencies of difference, Class in Culture makes a strong case for class as the material logic of culture. 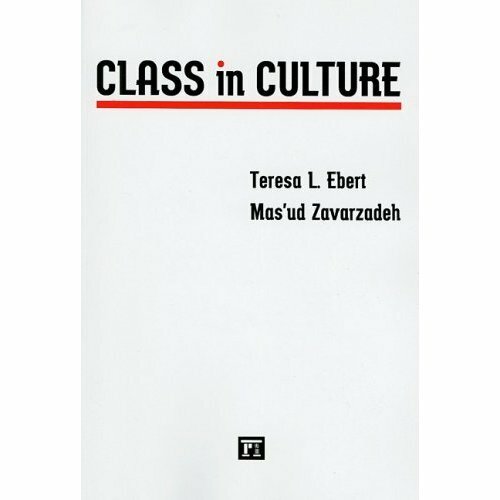 Through critical engagements with cultural theories and class critiques of a range of cultural situations, Class in Culture overturns the "cultural turn" and offers a groundbreaking materialist understanding of the contemporary. Its audacious, eye-opening interpretations of cultural texts make surprising connections among such seemingly unrelated issues as torture at Abu-Ghraib, "chick-lit," trauma, 9/11, sexuality, irony, globalization and "lifestyle." "A gem of a book. The central theme is how the rewriting of the material as cultural undercuts any real means for social transformation. Its topics are timely and provocative for classroom discussions. The authors are brilliant thinkers and clear, insightful writers. This is an exciting book of red cultural critique in a dark time." A Critical Pedagogy against Empire. Published in the “Critical Narrative” series edited by Donaldo Macedo.